(AP) LONDON - Top-ranked Yi Siling of China captured the first gold medal of the London Olympics in the women's 10-meter air rifle at Royal Artillery Barracks on Saturday. Sylwia Bogacka of Poland took the silver for her first major medal, and Yu Dan of China won the bronze. Yi was the overwhelming favorite but it took a mistake from Bogacka in the eighth round of the 10-shot final for her to edge the unheralded Pole. Bogacka shot a 9.7, her worst score of the final, and dropped to fourth. 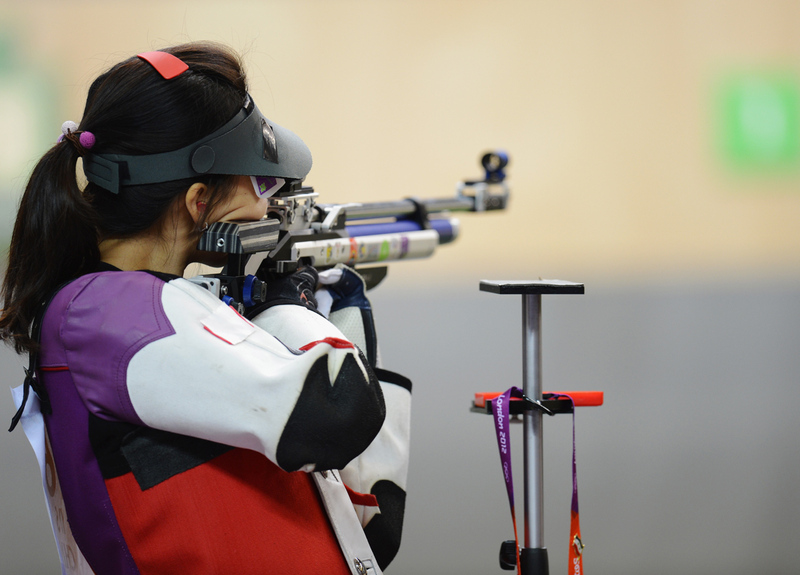 A near perfect score on her final shot gave her the silver ahead of Yu. Yi finished with a score of 502.9 while Bogacka was at 502.2 and Yu at 501.5. Defending champion Katerina Emmons, who won a qualifying shootoff to make the final, finished fourth. Olympics 2012: Let the games begin!